Serenade at Riverpark is the best choice for apartments in the Oxnard area. We understand that each resident has their own needs which is why we are happy to offer 1, 2 & 3 bedrooms with multiple floor plans. We encourage you to use the map below to assist you in finding our luxury apartments. If you need further help in finding our Murrieta apartments please don't hesitate to contact us at 805-202-4354. Find your way to Serenade at River Park and discover the true meaning of luxury living in! Located in beautiful Oxnard, California, you’ll find yourself surrounded by an eclectic assortment of shopping, dining, entertainment, and many other eye-catching destinations. We proudly offer a variety of one, two, or three bedroom apartments, and are located close by too, what will be, your new favorite shopping, dining, and entertainment destinations! 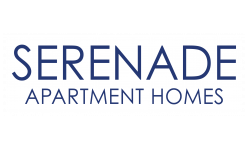 We look forward to helping you pick out your new home at Serenade at River Park! Contact us today at (805) 202-4354 or submit your application online, today!